The Center for Hispanic Marketing Communication at Florida State University is partnering with the Consulate of Mexico in Orlando to house a mobile consulate on campus on April 28 and 29 at the Center for Leadership & Social Change located at 100 S. Woodward Ave. Tallahassee, FL 32304. 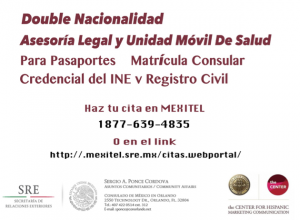 Attendees can receive legal advice, visit the mobile health unit, apply for passports, as well as consular registration. 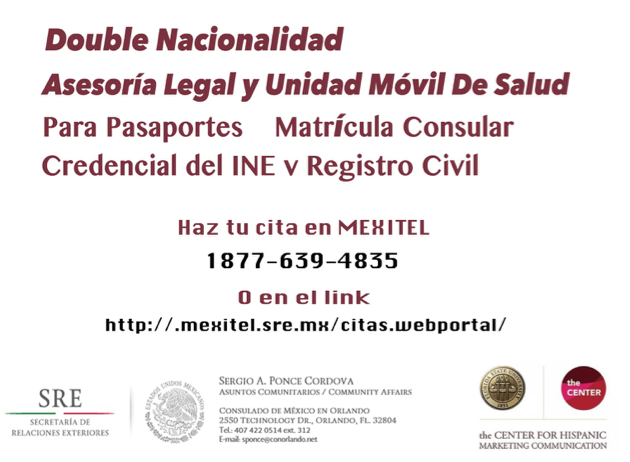 Make your appointment by calling Mixtel at 1 877-639-4835. The Center for Hispanic Marketing Communication was founded in 2004 and is the first of its kind within the United States devoted to educating students and professionals in the field of U.S. Hispanic marketing and advertising. The Center has been an advocate for the Tallahassee Hispanic community since opening.